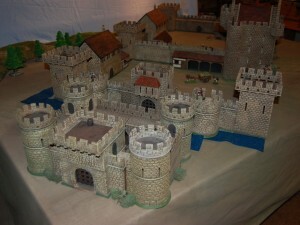 Miniature Building Authority has launched their Kickstarter campaign for their new castle terrain. Go get yourself a nice place for your little mans to live or to lay siege to. The MBA Castle Kick Starter will run in October of 2014. Delivery is tentatively planned for May 2015. Products: MBA will introduce several new items to make our castle system the most complete, modular and versatile system available on the market. Products will include a new Keep, Great Hall, Drawbridge, Barbican, Castle Dungeon, Tavern Cellar, new Town Building, and many other exciting new products. Additionally, there will be great stretch goal freebies, and a specially sculpted line of castle wenches to add to your collection.